There will always be those who chase adventure. The ones who long for endless stretches of golden sands, who search out the highest mountains and most thunderous waterfalls, and who never tire of getting behind the wheel to find the next best thing just around the corner. On the drive up Australia's east coast, you’ll find all of that – and more. This Sydney to Cairns motorhome road trip will take you through some of the most unforgettable beaches in the country, as well as into surreal national parks, through ancient landscapes and thriving wine regions. It’s a drive that will leave you in no doubt about Australia’s diversity and greatness, and one that’s best enjoyed from the comfort of a campervan. This campervan route is for explorers, lovers of the outdoors, foodies, beach bums and wildlife watchers, but most importantly, this trip is for travellers. An Australia campervan hire will start you on your way, so get booking and #LetsGoMotorhome! To stay safe and confident on the roads, check out our Australia driving guide here. The first stage of the drive from Sydney to Cairns is almost unfairly wonderful. Your stops along the way are diverse in every way, and include a beautiful national park, the country’s largest saltwater lake, a treat for the tastebuds at one of Australia’s premier wine-producing regions, and a dose of history from the state. With so much going for it, it’s a strong start to the roadtrip through the Central Coast of New South Wales, and one that sets the bar high for the remainder of your east coast Australia road trip. *If you're beginning your trip in Newcastle, find your nearest motorhome rental depot here. Roughly 1.5 hours north of Sydney is the Bouddi National Park, a popular weekend getaway for city dwellers and an ideal stopping place on your drive from Sydney to Port Stephens. This stunning natural area is like a taste test of Australia and the rest of your road trip, with everything from beaches and sheer cliffs to walking tracks and rainforest. 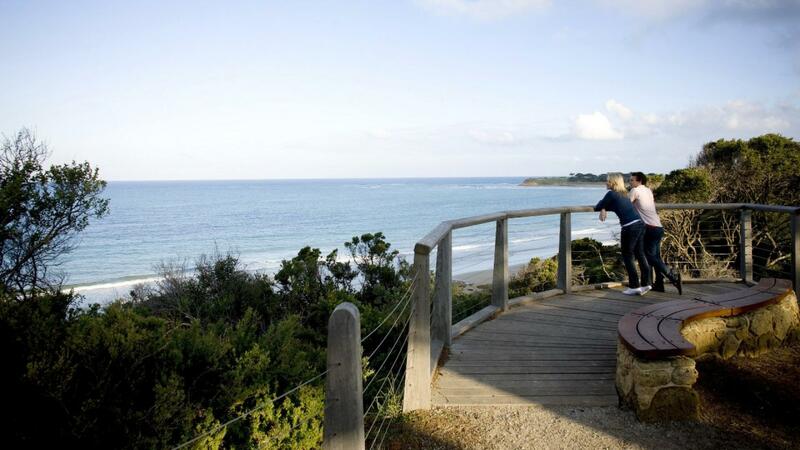 You can stop for a walk, take a look at the marine protected area (one of the country’s first), visit an Aboriginal historical site, and check out the old paddle steamer wreck of the SS Maitland from 1898. Continue north for another hour and you’ll come across Australia’s largest salt water lake, Lake Macquarie. At a size that’s more than four times larger than the Sydney Harbour, this lake is the place to go for water-based sports and activities. On hot sunny days you can jump in the water for swimming, surfing and water-skiing, or you can try your hand at fishing or boating. From Lake Macquarie, continue north and head inland to reach the world-renowned wine region of the Hunter Valley. 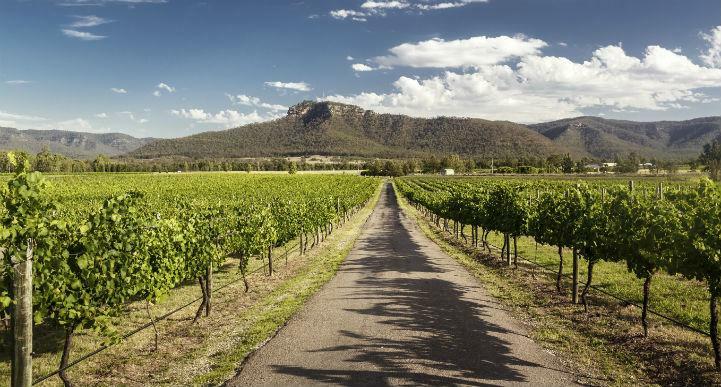 Although the region can lay claim to less than 2 per cent of the country’s wine output, it can also lay claim to being the birthplace of wine making in Australia. It’s been a wine-growers paradise for almost 200 years, with Semillon wines as the star in its crown of diverse and delicious vinos. It may be best to park your campervan here and jump on board a Hunter Valley wine tour to best enjoy the experience by tasting your way around the countless cellar doors and restaurants. That said, there’s much more to the Hunter Valley than just great wine, so be sure to visit the golf courses, day spas, and art galleries while you’re in the area. On your way back towards the New South Wales coast, you’ll pass through a small town called Maitland. While small, the town is a hotspot for local history thanks to its geographic position. The eastern end was the place of governmental and administrative buildings around the middle of the 19th century, and many of them remain today. You can see 28 of these fantastic old building on the East Maitland Heritage walk. The most popular by far is the old Maitland Gaol, which offers regular tours so you can take a detailed look inside. As you drive further north up the New South Wales coast towards Cairns, you’ll quickly realise that the beauty and welcoming atmosphere of the Central Coast is not just limited to the Central Coast. With small towns and natural attractions along the way, you’ll never be short of something to do. A visit to the Koala Hospital will melt your heart with the cute and cuddly creatures that reside there, and a stop at Coffs Harbour will impress you with its easy-going nature and plethora of attractions. Before you arrive at your next stop, however, there are a couple of incredible forests you need to see with your own eyes. *If you're beginning your trip in Byron's Bay, find your nearest motorhome rental depot here. Port Stephens is hard to describe until you get there. It’s got that perfect mix of beach life and city life within the one small town, so take a look at this gorgeous place before you hit the road again. This is one of the best places on the coast for marine-life watching, as more than a hundred bottlenose dolphins live in the area, and humpback whales are also easily spotted during their migration from May to November. The hiking tracks here are also particularly good, with the Tomaree Headland Lookout offering views of Port Stephens and the islands and sea. 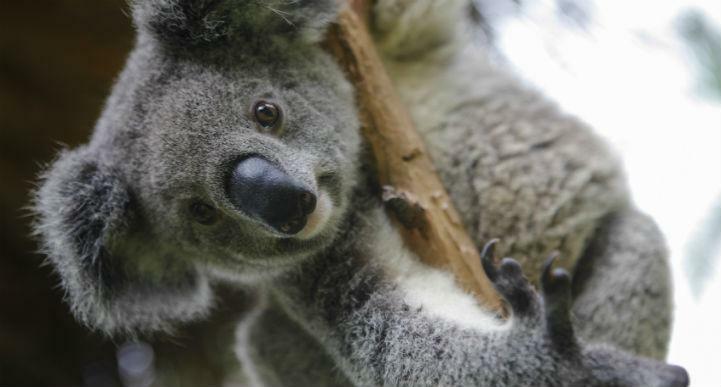 The koala is probably the cutest, fluffiest icon of Australia there is, and one of the best ways to see this animal and learn about it is at the Koala Hospital at Port Macquarie. The hospital has been running since 1973, and continues today as a centre that operates almost solely with the help of dedicated volunteers. Each year, somewhere between 200 and 250 koalas visit the hospital; dog attacks and car collisions are common reasons they end up here. Be sure to be there by 3pm for one of the daily tours, and take a look at the very sweet neonatal care unit for the tiniest koalas you’ll ever see. 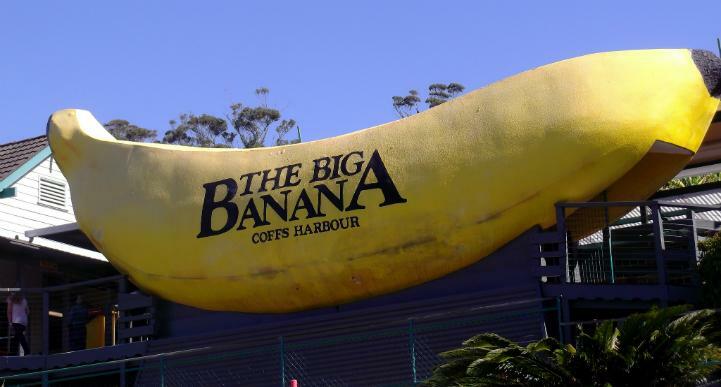 When the smallest attraction in Coffs Harbour is literally the ‘Big Banana’, you know you’ve discovered a place overflowing with things to see and do. The Sealy Lookout in the Orara East State Forest is a short drive out of the town for something that will remain in your memory for a long time. The Coffs Harbour Butterfly House like visiting another, far more magical, land, and the Solitary Islands Aquarium will give you fascinating insights into the world below sea level. In the outdoors, the Coffs Harbour beach is an absolute must-do, and the Coffs Creek Walkway and Cycleway is a great place to spend an afternoon and stretch your legs. Dorrigo is just an hour west of Coffs Harbour and is most notable for being the gateway to the Dorrigo National Park and its world-heritage listed rainforest. There are crashing waterfalls, serene forest walks, and an elevated walking track that looks out as far as the sea. It’s a brilliant spot for birdwatching with species such as the bowerbird and wompoo fruit-dove in the area, and a great place for a lunch break or BBQ. If you haven’t quite had enough of gorgeous forestland, the Wedding Bells State Forest is only a little further north just out of Woolgoolga. This forest is best explored by car along a scenic drive that heads up to Mount Coramba and even more exceptional views. Despite the fact that this stretch of the road trip is relatively short, there is a huge amount to do and see between Byron Bay and Brisbane. 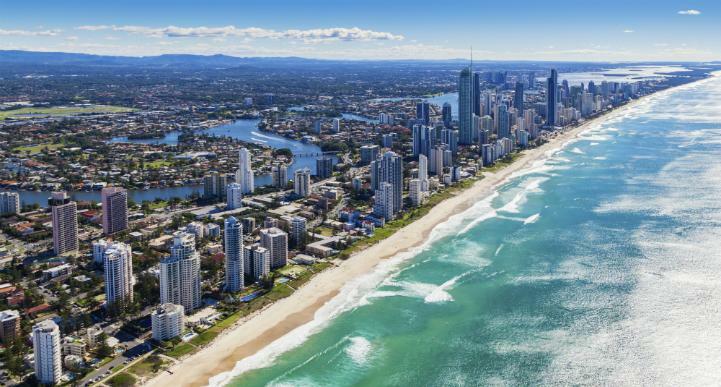 Due to the coastal nature of this drive, there are several beaches you’ll want to include along the way, such as those at Coolangatta and the famous Gold Coast. You can also take a drive away from the coasts and beaches into lush rainforests at the Springbrook National Park and at Tambourine Mountain. Both places hold the promise of walking tracks, waterfalls, beautiful scenery, and even glow worms! *If you're beginning your trip in this area, find motorhome rentals from Byron Bay, Brisbane or the Gold Coast. Coolangatta, just under an hour from Byron Bay, is a town where the main focus is actually the shoreline. The main Coolangatta Beach is known for its long, glorious sunny days and perfect surfing conditions. You’ve also got the choice of Snapper Rocks, Rainbow Bay, Kirra Beach, and Greenmount Beach. Note that if you’re keen for a swim, Rainbow Bay and Greenmount Beach may be your best option, as these two face north and therefore provide much more sheltered conditions. Take a short break from the golden coastline and head roughly 45 minutes inland to the Springbrook National Park. 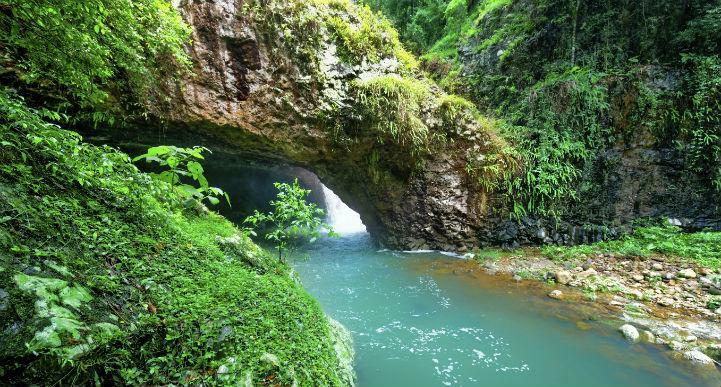 While there are plenty of the usual national park attractions such as lush forests and enticing walking tracks, the real attraction here is the Natural Bridge. The Natural Bridge is one of four sections of the park, where you take a short 1-kilometre walking track to see a massive natural stone ‘bridge’ that was formed by a huge waterfall. Today, visitors come from all over to see the waterfall as it delves down through the rock into the eerily beautiful and bright space under the archway. To make this spot even more special, night-time brings the onset of darkness – and thousands of luminous glowworms. No Sydney to Cairns road trip would be complete without a visit to the effervescent Gold Coast, a place internationally famous for its sunshine, lifestyle, and attractions. Surfers Paradise Beach is one of the most widely recognised beaches in Australia – and for good reason. That said, the Burleigh Heads Beach has all the charm of Surfers with far fewer crowds. Check out Go Ride a Wave for surfing lessons as well as Kayak, Paddleboard and other gear hire. Popular spots in the area include Surfers Paradise and Broadbeach. Try the SkyPoint Climb for fabulous views over the bay, and get your shot of adrenalin from any of the theme parks such as Dreamworld, Movie World, or Wet’n’Wild. For shoppers, the Burleigh Heads put on a fantastic village market on Sundays, and the Carrara Markets are open with more than 500 stalls every weekend. Plus, there are several high-level golf courses in the area, such as RACV Royal Pines Resort, which is home to the Australian PGA Championships. Tamborine Mountain is something of a hidden gem of the Gold Coast hinterland. It’s less than an hour north-west of the city, and is largely known for its natural attractions. As the area sits 500 metres above sea level, it’s cooler and less humid than the cities on the coast, meaning you get a vast array of difference flora and fauna thriving here. You can see much of this from the Rainforest Skywalk. Another unique place to visit is the Jasmin Aromatique, which is Australia’s largest skincare farm. Using only organic techniques, this facility produces a naturally sourced skincare range – and offers tours to show you how they manage it. Plus, if you didn’t get the chance to see the glow worms at the Springbrook National Park, Tamborine Mountain is the place to do it, as it is home to one of the largest colonies in the world. Mountains, beaches, animals, and more beaches. That just about sums up this leg of the drive, so you’ll definitely need your swimmers, sunscreen and camera. When you leave Brisbane, you’ll have plenty of time to appreciate the magnitude of the Glasshouse Mountains as you drive towards them, and you can look forward to meeting plenty of Australia’s animals in the country’s most famous zoo soon after. You’ll spend time shopping and dining along the way, but for the most part, you’ll spend hours and hours with your toes buried in warm sand as you stroll along the glorious beaches of the Queensland coast. *If you're beginning your trip in Brisbane, find your nearest motorhome rental depot here. The Glasshouse Mountains are one of the most immediately obvious attractions on the drive north from Brisbane. Their history dates as far back as the late 1700s, when Captain James Cook thought they looked a bit like the glass furnaces from his hometown – hence the name. There are 11 dotting the landscape in all, formed by ancient volcanoes more than 26 million years ago. They are entrenched in local history and are a point of significance for the Aboriginal owners, which you can learn more about at the Interpretive Centre. Many climbers and walkers visit this area, but note that only the Tibrogargan and Ngungun Peaks are actually open to the public for such activities. 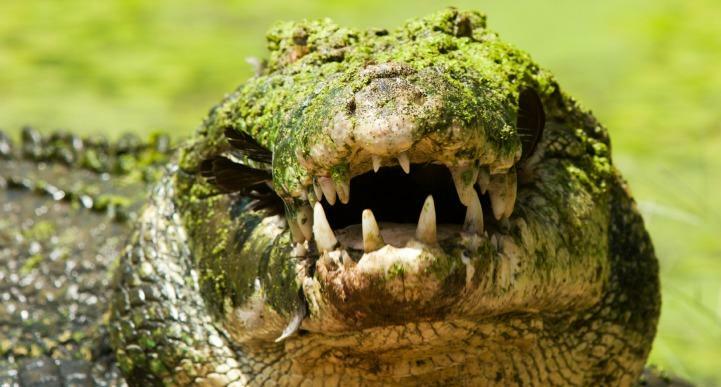 Australia Zoo is the ‘Home of the Crocodile Hunter’, and while it is certainly that, it is also home to a fantastic array of incredible animals. Only an hour north of Brisbane, this zoo is devoted to the conservation of animals and their habitats, and shows this every day through public education, ongoing funding projects, and even environmentally minded programs such as recycling, water conservation, and energy-use reduction. While there, you’ll have the opportunity to watch shows, learn about the animals, and even feed some of these gorgeous creatures! As you head further north, take a turn to the right to make a stop at the dazzling Sunshine Coast. This metropolitan area is where you can soak up the sunshine on the Mooloolaba Beach, shop ‘til you drop at the Sunshine Plaza, or tee off at a championship golf course such as the Palmer Coolum Resort and Noosa Springs Golf Resort and Spa. The Sunshine Coast Art Gallery Trail is ideal for those touring Australia by motorhome, as you can easily stop off at each one along the way. And if there’s one simple thing you must do before leaving the Sunshine Coast, it’s to pack a picnic and watch the sunset – it’s one of the best places in Australia for it. The Eumundi Markets are much more than an average market, and are known for their excellent wares even in Sydney. The only trick is that they are only open on Wednesday and Saturday, so if you can time your arrival to suit one of those days, you’ll be in for a treat with arts and crafts, fine foods, and fresh produce. 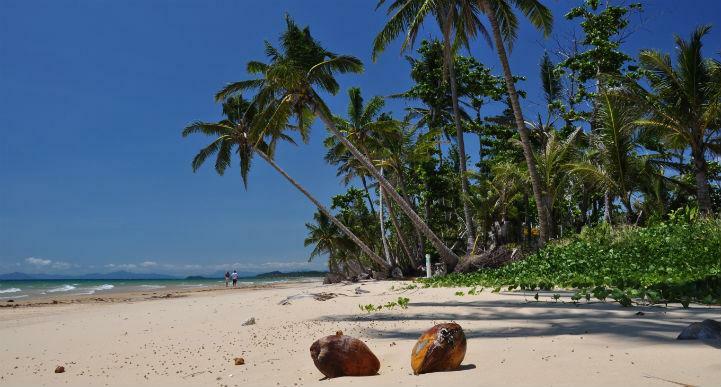 Rainbows and beaches are easily two of the most spectacular natural attractions nature can offer us, so it seems only fitting that this particular beach should be named as such. If you’ve ever wanted to ride a horse along a beach, this is definitely the place to do it. You can opt for a daytime or a night-time ride, and some operators even encourage you to take the horse for a ‘swimming ride’ in the water, too! 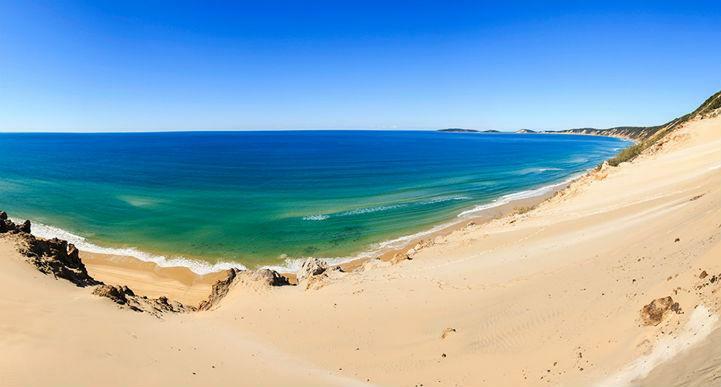 This area is also the main entry point to the Cooloola National Park, which is a 41,000-hectare area of beaches, sand dunes, colourful sands, and endless adventures to be had by 4WD, by boat, by canoe, and by foot. As you continue north, you’ll notice the landscapes and weather becoming noticeably more subtropical, with enveloping warmth each day and beautiful vistas at every turn. You could easily spend as much time on boats out on the water as you do in your campervan during this leg, with unmissable opportunities for exploration from both Hervey Bay and the thoroughly understated town of 1770. At Bundaberg, you might encounter more of Australia’s most precious creatures, but you also might taste something precious for yourself at the historic and fascinating rum distillery. Hervey Bay is a veritable playground for anyone who loves the outdoors – particularly those who adore the warm sunshine and cool blue oceans. 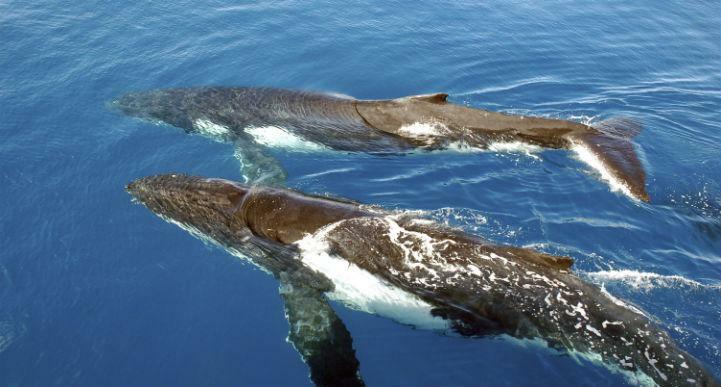 It’s something of a world capital for whale watching, too, as it is where the humpback whales make a stop on their annual migration to Antarctica. 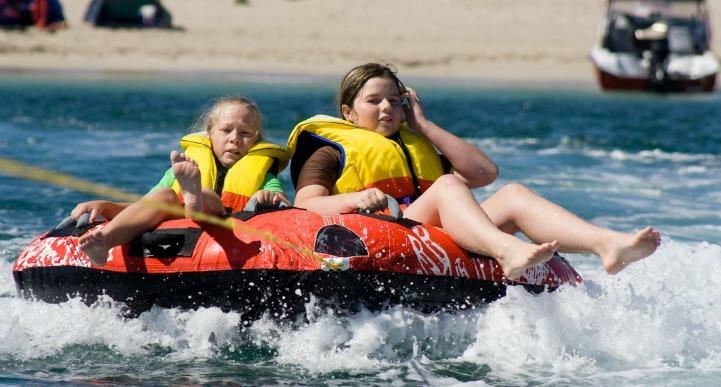 Hervey Bay is also where you can easily jump on a boat to visit the magnificent and World-Heritage Listed Fraser Island, which is the largest sand island on the planet. Roughly 1.5 hours further up the coast is Bundaberg, a place that is oddly known for both its rum and its turtles. 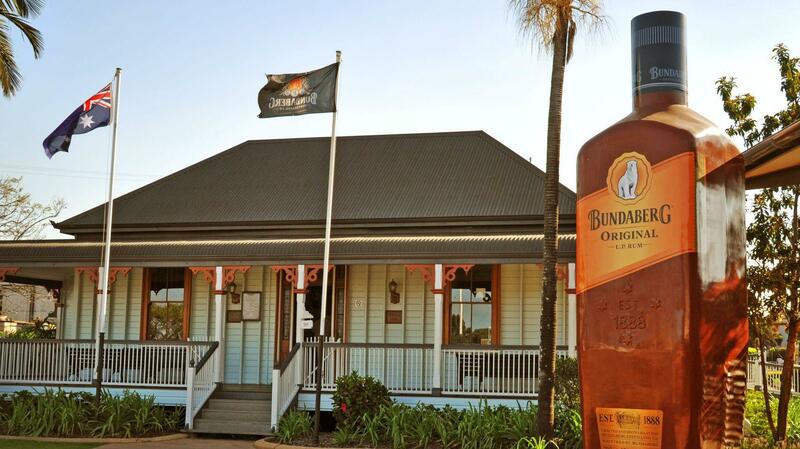 The Bundaberg Rum Distillery makes for a fantastic tour, even if you’re not a fan of this distilled drink. Established in 1888, the site has a long history in creating this delicious drop, and today offers tours where you get plenty of opportunities to taste the produce and see how it’s made. As for the turtles, you’ll need to head to Mon Repos, where – depending on your timing – you may be able to watch massive turtles make their way up the beach to lay their eggs, or even to watch as these eggs hatch. The turtle season is from November to March, and you can book a tour to make the most of the experience. As odd as it sounds, 1770 is the name of this town, although you may see it on maps as ‘seventeen seventy’. Once again, James Cook is to thank, as this famous explorer made the first landfall in the state in May of that year. The township itself is another of those marvellous yet tiny little Queensland sea-side areas that isn’t much more than a marina. 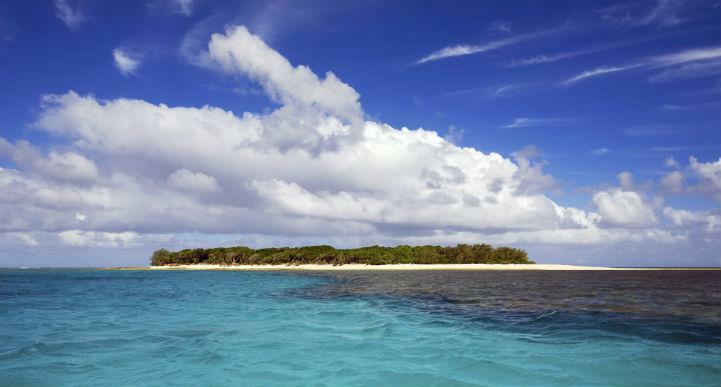 The marina, however, is the interesting part: this unassuming town is the gateway to Lady Musgrave Island, as it’s the closest point from the mainland. Lady Musgrave Island is just the second in the chain of islands along the Great Barrier Reef, and is a simply phenomenal coral cay where you can – should – snorkel to see this area for yourself. Be sure to also look at aerial pictures of the reef and lagoon – it’s truly something else! 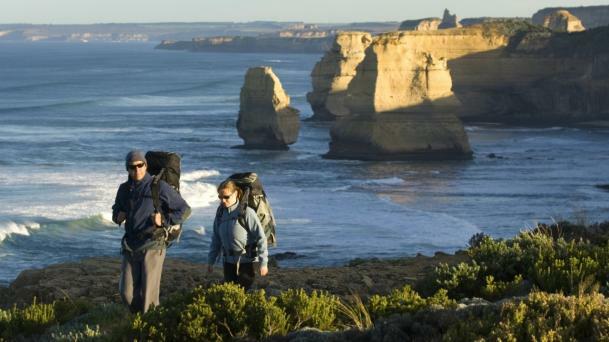 The longest leg of your Sydney to Cairns trip will also be one of your most unbelievable. The first stop takes you into caves that began under the sea roughly 230 million years ago, and your drive along the coast will continue to astound you – no matter how long you drive alongside it. 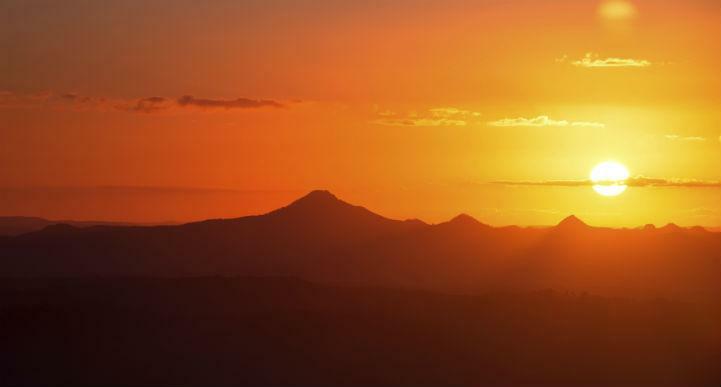 With a stop in bustling Mackay and a relaxing visit to a national park, this leg will leave you feeling like you’ve already seen the best of what Queensland has to offer. That is, until you reach Airlie Beach. This town has been blessed with an abundance of natural beauties, and it’s likely you won’t want to leave any time soon. 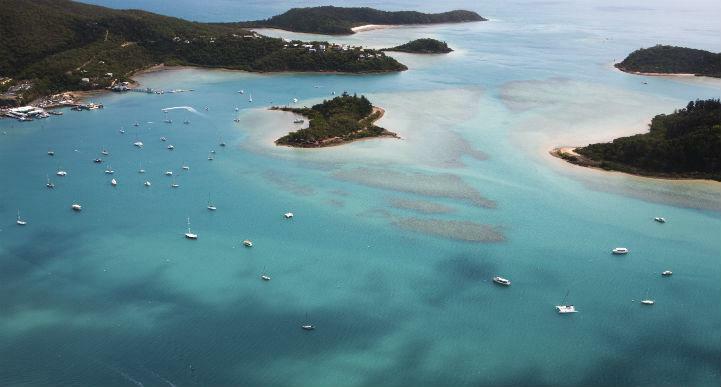 *If you're beginning your trip in this area, find motorhome rentals from Airlie Beach or Townsville. 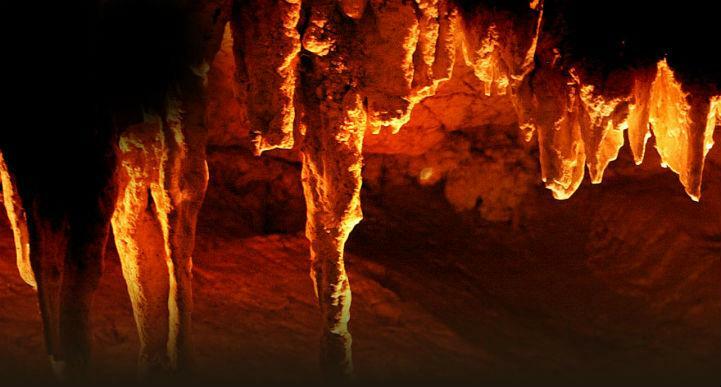 Just 23 kilometres north of Rockhampton lies a series of underground caves so magnificent that you’ll be talking about them as a highlight of your campervan holiday for years to come. The Capricorn Caves originated approximately 230 million years ago on the sea floor, which is why you can still see marine fossils and corals to this day. The caves were found by brothers when out looking for their horses back in 1880, and when their father opened the site as a place for tourists three years later, it became the state’s very first tourist attraction. You can take a two-hour tour of the caves, or even try out the adventure caving tour, where you spent your time crawling and climbing through a stony maze. Mackay is a small city along the Pacific Coastal drive up towards Cairns and is a great place to stop for a taste of the ‘city’ life along the coast. Walk along the Bluewater Trail, cool off in the Aqua Fun Park, and enjoy a little art and culture at Artspace Mackay. Flora fans will love the Orchid Display House, and the marina offers a delectable array of restaurants and bars for a bite to eat and a drop to eat. Drive a further 50 kilometres up the coast to reach the captivating Cape Hillsborough National Park. It’s a rugged place of natural beauty, decorated with rainforest and vine forest, with plenty of eucalypt and mangroves. There are several walking tracks to choose from with varying degrees of difficulty where you can see more of the park, including some of the 500 plant species in the area (an incredibly high number considering the space). Note that you can camp in the park, but you must apply for a permit. Prepare to spend several days at Airlie Beach, as this area will enchant you the second you arrive, and you may never want to leave. 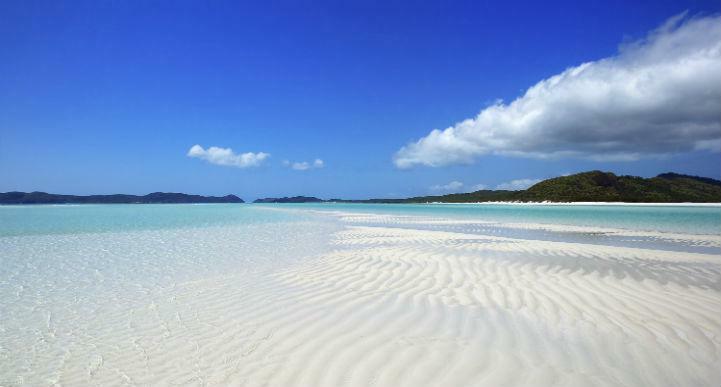 It’s where you will take a boat ride out to see the almost impossibly beautiful Whitsunday Islands, which are nestled amongst the Great Barrier Reef and are just as wondrous regardless of whether you see them by plane, boat, jet ski, or helicopter. That said, Airlie Beach does have some pretty spectacular shorelines of its own. Almost everything in this town is water-based, from the Aqua Park to the Proserpine River Wetlands tours, so you’ll need plenty of time to dip your feet into all of it. The final leg of your drive will guide you along the Great Green Way, named appropriately for the 12 national parks tucked neatly around each other for the entire trip. Your final few stops will offer you a platter of natural attractions, from the birder’s paradise at the Tyto Wetlands and the largest single-drop waterfall in the country to the glorious sands at Mission Beach and a hidden gem that you’d never expect to find anywhere in Australia, let alone amidst a lush green Queensland rainforest. 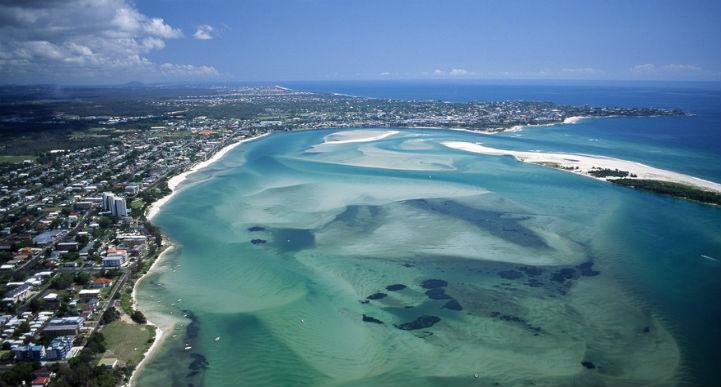 *If you're beginning your trip in this area, find motorhome rentals from Townsville or Cairns. Named after one of the many fantastic bird species that call this place home (the tyto capensis, or eastern grass owl), the Tyto Wetlands offer a whole new experience on your drive to Cairns. It’s a place where walking tracks, birding, lagoons, and native flora all meet in a sprawling 120 hectares of wetland. You’ll need to stick to the 4 kilometres of walkways so as not to disturb the area, but from them you should get a great view of the wallaby population, the tropical plants, and plenty of the 240 bird species that live here. Your trip to the Wallaman Falls will take you a little over an hour west of the coastal route, but this quick excursion will be well worth the effort. 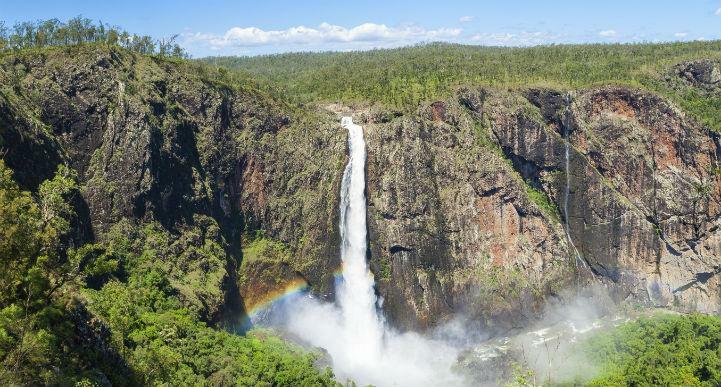 This waterfall is the highest permanent single-drop waterfall in all of Australia, falling a full 268 metres from top to bottom and creating a spectacular sight along the way. The site is a part of the Wet Tropics World Heritage Area, as it’s home to many endangered plants and animals. Walk one or two of the quick walking tracks around the falls to get the best view and to see more of Australia’s magnificent forestland. Make your way back to the coastal drive and up to Mission Beach for yet another total change of scenery. This spot is as special as it is spectacular, with 14 kilometres of pure golden sands that sit between the two very different World Heritage Areas of the Great Barrier Reef and the Wet Tropics Rainforest. There are several villages around Mission Beach, so this is the perfect place to relax and enjoy the flawless shorelines and laid-back lifestyles that Queensland does so well. 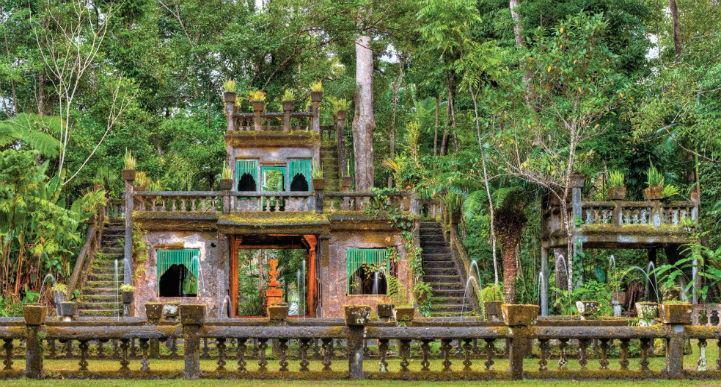 Paronella Park is something of an enigma in Queensland – and Australia for that matter. That’s the only word that can really describe the feeling of coming across a dreamlike castle in the middle of the rainforest. The castle was built by Spanish man Jose Paronella throughout the early 1900s, which he furnished with no fewer than 7,000 trees. Set upon five hectares by the Mena Creek waterfall, the site includes a picnic area, bridges, a tunnel, and tennis courts, and has been open to the public since 1935. Take a 45-minute guided walk through the park to learn more about its history and the life of the fascinating man who dreamed big and made it happen. By the end of this trip from Sydney to Cairns, you’ll be left feeling inspired, rejuvenated, and ready to start planning your next trip. Everything from the major tourist attractions to the small towns and hidden beaches will make a mark on your memory and have you reminiscing over photos for years to come. The postcard-perfect beaches, jaw-dropping vistas and unexpected surprises are what make this drive great, and it only takes a simple campervan to make it happen.